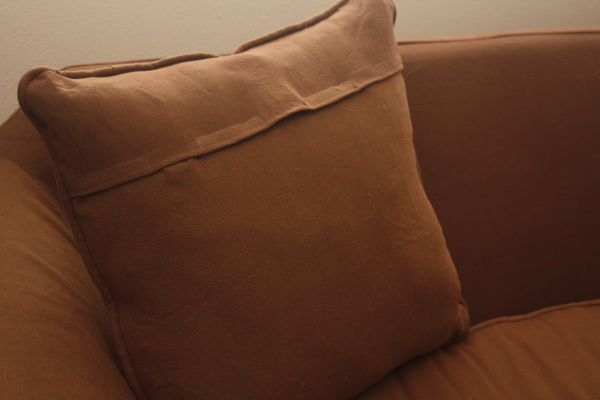 This is part of my Slipcover Tutorial Series. Go here to start from the beginning. 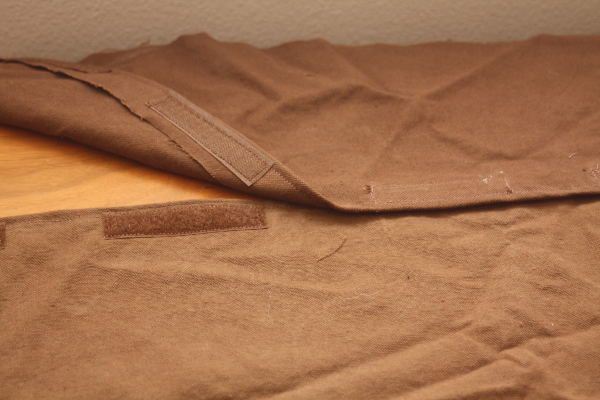 We’ve finally made it to the last step of the slipcover, rejoice! I knew this would be a big project when I started, but I had no idea how much time and energy it would take! 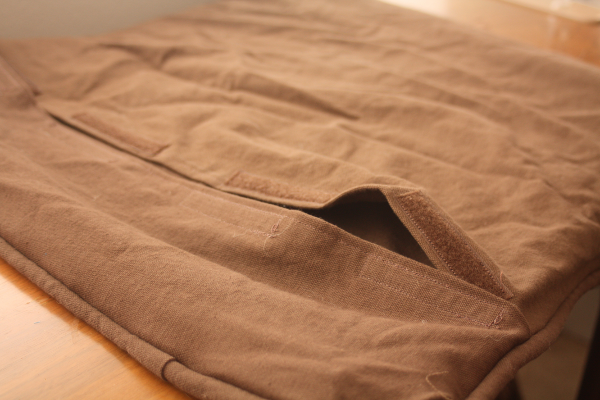 I almost gave up when it was time to make the skirt, but I’m glad I pushed through and finished it. Needless to say, it’ll be a while before I tackle another project this size. Anyway, back to the tutorial. 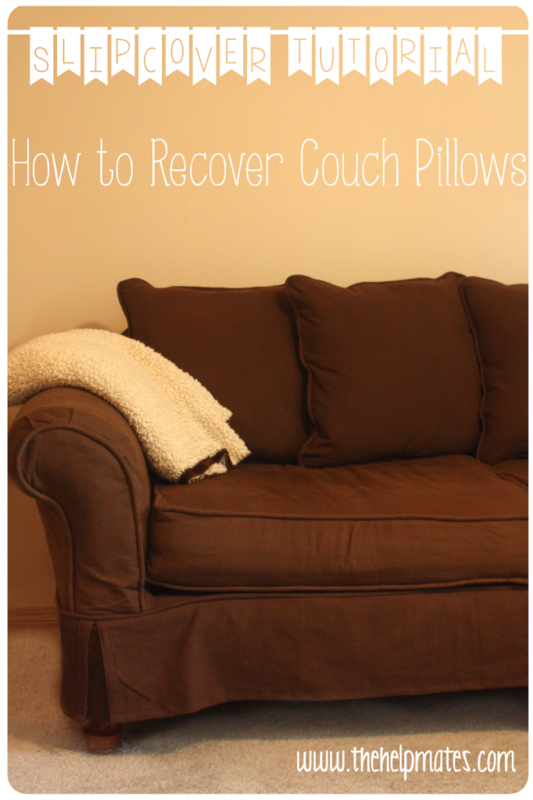 The last step is recovering the back pillows. 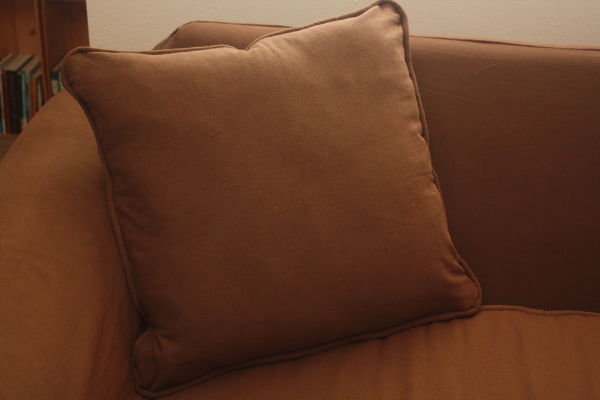 On my couch, these are just large pillows with piping along the edge. 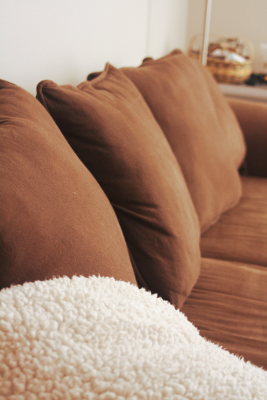 If your couch has boxed cushions along the back, you can use this tutorial to recover them. 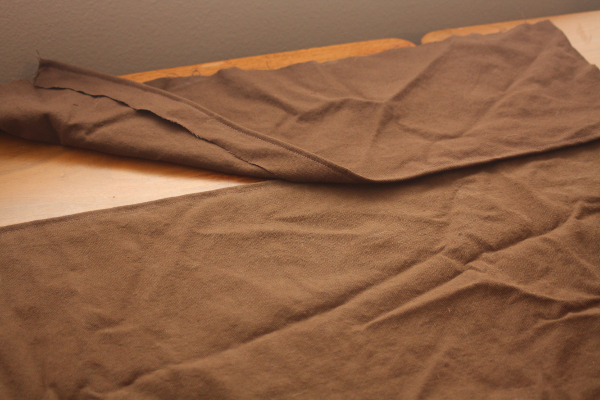 The first thing I did was rip open one of the pillows and use the existing panels as templates to cut the new front pillow panels. 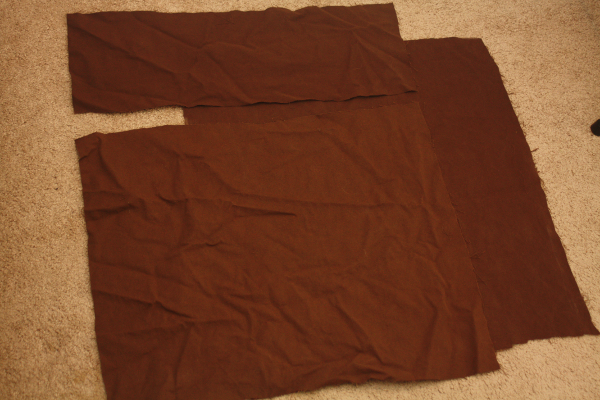 I used chalk to mark the right size on the first panel, and then used that as a template to cut three more (since I have a total of four pillows). 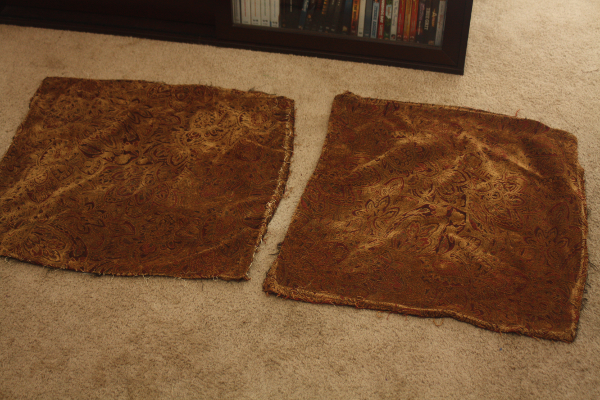 Then I hemmed the back panels about an inch each on the edge where they meet. 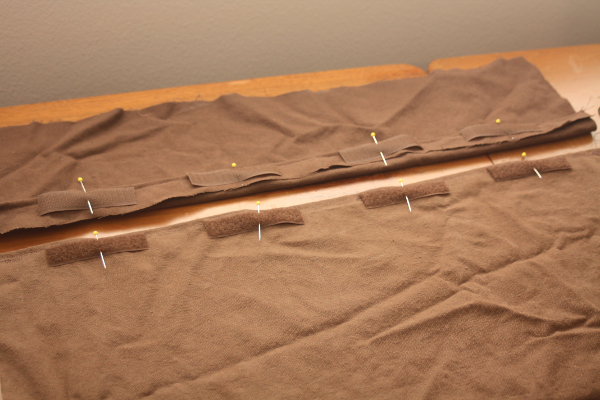 I pinned on the velcro, being careful to pin on the right side of the bottom piece and the wrong side of the top piece. 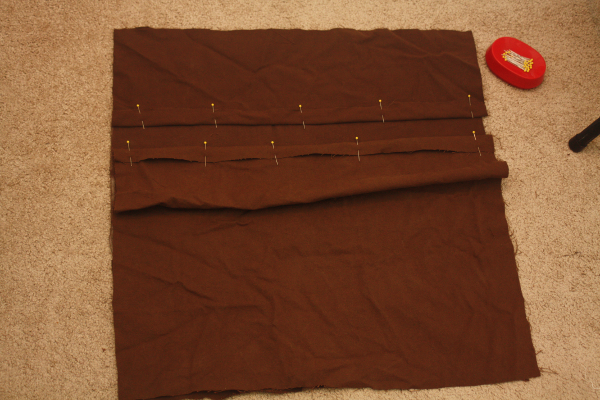 Now the back panel piece is roughly the same size as the front piece, and they’re ready to be stitched together. 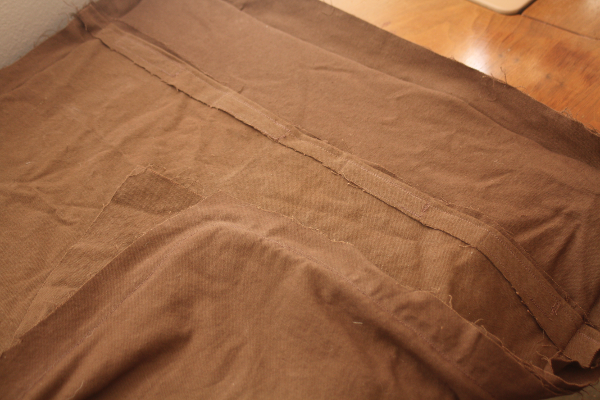 I sewed piping along the edge of the front panel. 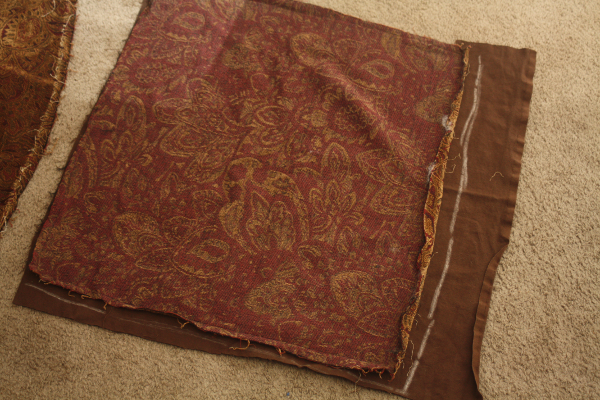 And then sewed the back panel to the front panel, wrong sides together. 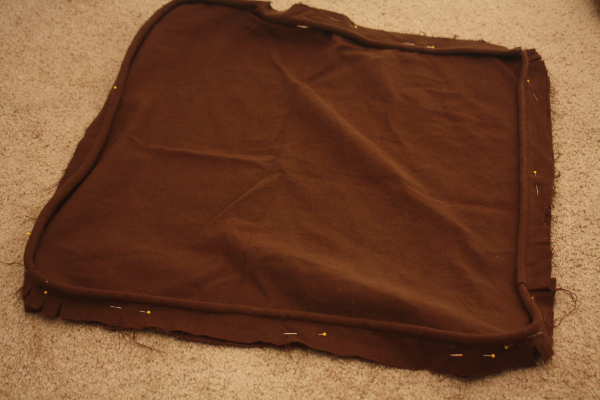 I turned it all inside out, and ta-da: a new pillow cover! I stuffed the new covers with the stuffing from the original pillows, because it was in good shape and saved me some money. 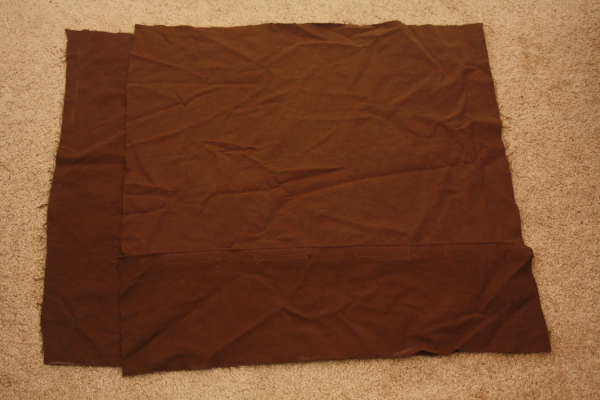 Also, you probably noticed that I was too lazy to iron the fabric before making the pillow covers, but it paid off because once they were stuffed, you couldn’t even tell! You’re done! 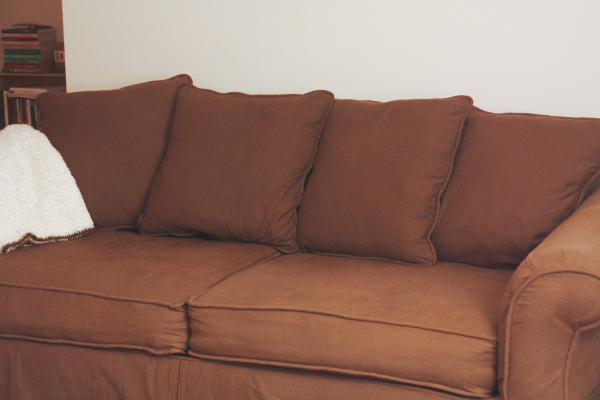 Do a happy dance, and then settled down on your nice new couch with a good book!